Don't get me wrong! I LOVE summer- the heat, the hiking, the must-be-in-the-pool-or-spring-if-we-are-outside-for-longer-than-5-minutes weather- but I am also getting very well prepared for the continual rise in temperatures and so is Flo!! Chacos- I have gone back and forth forever as to if I should invest in a pair of Chacos or not. Living in Florida we end up doing a lot of wet trails, so I felt they could work well, but then Babe reminded me that they still don't really protect from ants. Well, then I finally went and tried on a pair!! SOLD!!! Chaco Nation here I come! They are amazing! Great support (better than my current tennis shoes), super comfy and my little piggies can breathe! Adventure Fuel Mug- No morning in Flo is complete without a strong cup of Adventure Fuel!! I love slow mornings sitting and sipping coffee before a full day of fun! Our Coleman Travel Grill- Even though Flo does have a stove top and microwave, our Coleman grill is pretty much our main means of cooking when we are in Flo! Seriously, this grill is perfect for camping, traveling, tailgating... it just folds up so nicely, fits perfectly in the storage compartment and is easily set up! Sun Bum Sunscreen- Because I am old and can no longer pretend like I can get away with spf 4, and honestly, if you are young and still think you can, save yourself the later wrinkles and invest in some solid sun protection. I am not your mom so you won't have to say it was something your mama warned you about! But if she has been telling you that, well she's correct... your future skin will thank you! And Sun Bum is wonderful! It doesn't feel think and tar like, but still provides amazing protection. I actually tried it originally at a surf expo my dad was at and have been hooked every since. So go ahead and "Sun that Bum"! Table Topics- These are to be saved for a rainy day (or when the heat gets too high and there is no nearby body of water to jump into)! I love table topics! They are a fun way to pass the time and find out something new about the people you are with or even ask yourself a question you never thought to ponder. Babe and I love playing our own version of the question game while we hike, but Table Topics has great questions we wouldn't think of! They also have an awesome Road Trip Edition that I am dying to try!! Any other outdoor lovers out there?! How do you beat the heat and still enjoy the outdoors?! 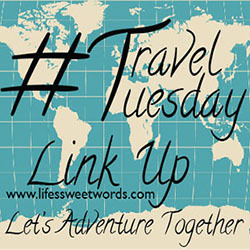 What was your all-time favorite vacation? Know Where to "Go"- The dreaded dump... yes, that means the potty! We all go, duh! But when you are in an RV knowing where to let it go can be an issue. When you are boondocking, or the line for park dump station is too long, it is helpful to know where the next nearest station is. This is a great resource for needing to know where to go... literally! RV for Me- Ok, so that isn't what it's called, but if you were anything like me starting out, you may not know a lot of RV lingo. 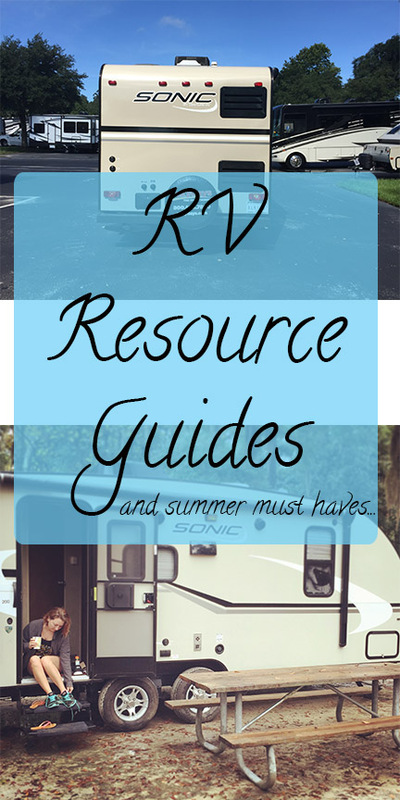 These guides are written by RV expert Marc Polk and are full of tons of RV info for a little RV 101! 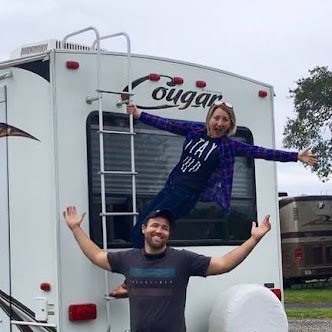 You can also go check out my favorite RV couple (now turned sailors) for some of their RV and how-to videos, Jason and Nikki Wynn!